← Making Laws. Making Sausages. The following three chapters are from my friend Zitz Freeman’s novelette about zombies. Sure there are lots of zombie stories out there, but the undread that Zitz writes about are not your conventional run-of-the-mill, garden-variety zombies. These zombies are babies with wicked teeth. This is from the first of two novelettes he has written. Let me know if you hunger for more. Death came crawling. The baby was moving rapidly on all fours. The carpet in the hallway was thick and the baby moved noiselessly over it. The door to the master bedroom was ajar and soft rhythmic snoring came from within the darkened room. The baby crawled through the opening. It scented the two people on the bed in the center of the room and headed quickly for them, pulling itself upright using the large comforter that had slipped off one portion of the huge bed. “What’s that horrible smell?” asked a sleepy voice. The baby struck. It was a cannibalistic zombie baby. There were sudden screams and a tearing sound. Then there was silence. Except for the chewing. Art Gorski was running. His lungs were burning and his legs felt weak. He didn’t think he had ever run so hard in all his 58 years. Mud caked his pant legs and clung like glue to his shoes as he ran through the farm field. The thunderstorm that had been building earlier had passed, but everything now was wet and had turned to mud. He looked behind him. The babies were gone. At least he had been able to outrun them or maybe they too had trouble maneuvering through the muddy furrowed field. Were they still chasing him? They had for a while, their little arms and legs churning, propelling them along the road right behind him before he had run into the field. How long ago had he been running? All he knew is he needed to outrun these whatever-they-were is he wanted to stay alive. His life that day had begun with him and Virginia, his wife of 13 years, sitting outside on their porch swing in the cool of the morning. They were looking up at the storm clouds gathering above them. Although rain was forecast, most of the news had been about reports of carnage in major cities across the globe. Something about zombies and babies. Things that seemed just too weird to be true. He and Virginia were talking about the newscast when three babies came crawling up the Gorski’s long gravel driveway that cut through the woods to their isolated rural cabin. Never had Art seen babies crawl so fast. They moved across the drive, oblivious to the jagged stones digging into their hands and knees. The babies were naked and filthy, except for a dirty diaper each wore. The babies’ eyes focused on Art and his wife. Looking at them and through them at the same time. And the babies had teeth; Art could see that as they drew closer. Razor sharp teeth. Virginia had cried something about “oh those poor babies,” and had gotten up and ran to rescue them. Art was going to warn her, tell her something wasn’t right with those babies, tell her about the teeth, but it was too late. As she bent to pick up the closest babe, it launched itself up into her, clawing, biting, and slashing. He heard his wife begin to scream, the scream turned into a gurgle and then all was silent. Except for the baby in her bosom who was chewing. The other two babies closed in on him now. Their eyes were hollow, their mouths opening and clothing rhythmically. And as their mouths closed, he could hear their teeth. He looked at the door to the house. He had guns in there. However, something told him to run away from the house. Art had run. Depending on the reference source one uses, there are approximately 300,000 babies born each day. Most crawl when they are six months old and walk within a year. That means that at any given time there were about 55 million babies able to crawl but not yet able to walk. It was that group of crawling, chomping, and diaper-wearing batch of babies the virus hit. The first scattered reports came out of North Korea on April 1 of a biological experiment that went really, really bad. Those reports were dismissed as April Fool’s prank (although later investigators would remember that there are no April 1 pranks in the godless north). Then spy drones picked up baby hordes crawling across the demilitarized zone. When soldiers sent to rescue the babies died horrible deaths, alerts sounded. By the time the military and the government became aware of what horror was transpiring, it was too late. People were dying all around the world. Planes were crashing as cannibalistic zombie babies ate their way through coach, first class and into the cockpit. Ships were sinking as captains, pursers and passengers turned into entrees. 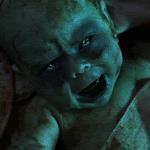 Who first called the creatures “cannibalistic zombie babies” isn’t known. That person is probably long dead and chewed. The name wasn’t correct anyway in that the babies weren’t technically cannibalistic, since they didn’t eat their own. They ate living human flesh. They were definitely zombies though. Dead babies. In super secret government installations, super secret cameras mounted in super secret locations showed baby births that immediately turned into baby zombies… Crawling, gurgling, razor sharp teeth bearing, long taloned zombies. Although the virus first affected babies who were six months to a year old, the virus quickly mutated so all babies under walking age became CZBs. And what scientists found especially incredible is they could change their own diapers (although since they were zombies and didn’t eat, their diapers rarely needed changing). This entry was posted in Uncategorized, zombies and tagged babies, cannibalistic, cannibals, zombies. Bookmark the permalink. Is “Fantastic Magazine” still around? It’s their kind of short story.